After all the talk of UFC Hawaii, Bellator beat the MMA leader to the punch with Bellator Hawaii, and it’s bringing some star power. Given that the UFC has had stars from Hawaii before, most notably former champion BJ Penn and current featherweight champion Max Holloway, it seemed the UFC would naturally head to Hawaii at some point. 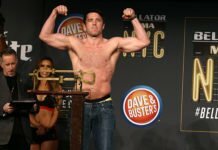 However, Bellator MMA is making the first move at being the first big MMA promotion to make a stop in Hawaii, and it’s bringing the starpower for its December 15 debut. Hawaii’s KHON2 was first to break the news. The main event of the card is a women’s flyweight title bout. 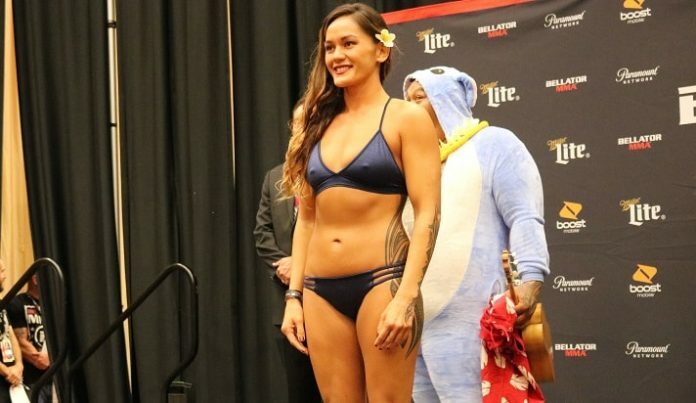 One of Bellator’s homegrown talents, Ilima-Lei Macfarlane, will be putting her title on the line against former UFC title challenger Valérie Létourneau. Létourneau is 2-0 under the Bellator banner and last won at Bellator 201 against Kristina Williams to earn this opportunity at the title. Macfarlane was born in Honolulu, Hawaii, and will fight in her home state for the first time in her career. Also on the card as the co-main event is the Bellator debut of former UFC light heavyweight champion Lyoto Machida. Machida, despite being 40, returned last year and is currently riding a two-fight winning streak. His opponent is the young Rafael Carvalho, a former middleweight champion. Carvalho lost his belt to Gegard Mousasi in May and is hoping to get back into the title picture with a win. The UFC did run into some red tape when attempting to hold an event in Hawaii, making it interesting that their competitor was able to beat them to the state. With Scott Coker and crew breaking through, it seems that a Max Holloway-led event in Hawaii will be happening in the near future. Bellator Hawaii goes down December 15 and will take place at the Neal S. Blaisdell Center, in Honolulu, Hawaii.